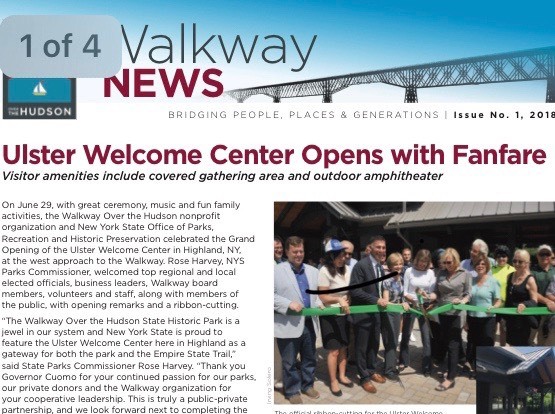 With the opening of the Walkway’s new Ulster Welcome Center on the west side of the Hudson and the groundbreaking of the Dutchess Welcome Center on the east side, we have a tangible testament to the power of the Walkway to connect people, places and generations. 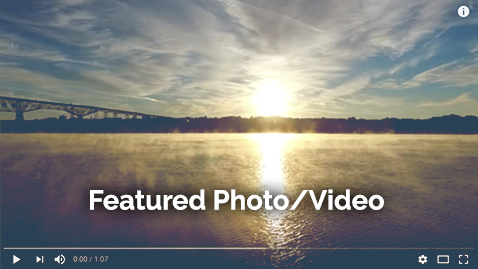 A decade ago, a small group of committed volunteers and donors had the vision and the passion to turn the dilapidated Poughkeepsie-Highland Railroad Bridge into the Walkway Over the Hudson. In 2016, Governor Cuomo announced New York State’s funding for visitor facilities on both sides of the Walkway. Today, that dream has become a reality — and we certainly are not done! In 1889, the railroad bridge was a crucial transportation link, connecting raw materials from the west to industrial centers in the east. A pinnacle of engineering and industrial ingenuity in its design and construction, this iconic structure has now become the longest elevated pedestrian bridge in the world! With nearly 600,000 visitors each year, the Walkway is a crucial economic driver and tourism attraction in the Hudson Valley.